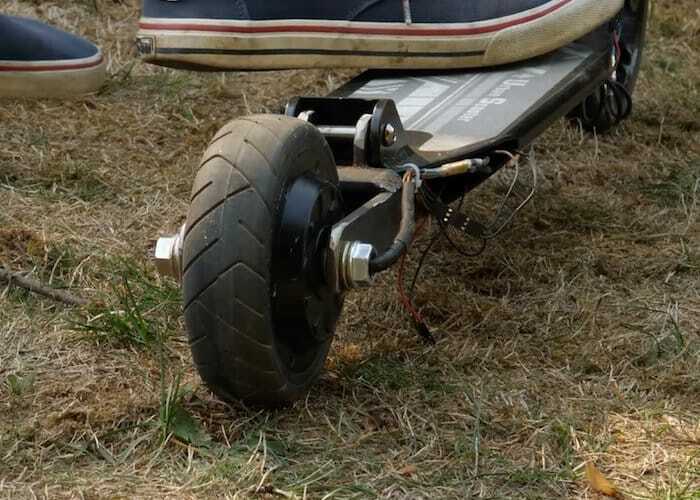 An awesome DIY electric scooter that not only can be controlled by a throttle but also registers when the rider kicks the scooter forward has been created by Maker Bitluni. Watch the demonstration videos below to learn more about the electric scooter project created by the German maker. Unfortunately electric scooters in Germany are illegal although motor assisted bicycles are not. Cleverly making a hybrid electric scooter/bike maker has created a legal alternative. Using an external monitor to sense forward pushes, an Arduino Micro regulates speed via PWM output. For more information on the project jump over to the maker’s YouTube channel and download the Arduino code which is available via GitHub via the link below.